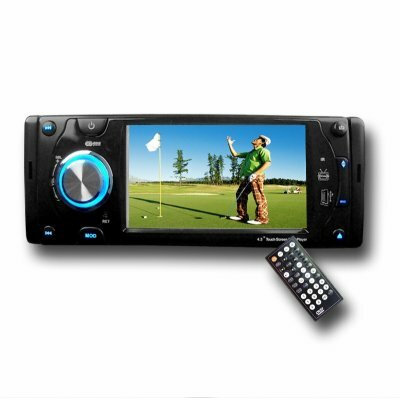 Successfully Added Bluetooth Enabled Car DVD Player - 4.3 Inch TFT Touchscreen to your Shopping Cart. Car DVD Player with Bluetooth technology for pairing with mobile phones and a crisp 4.3 Inch TFT display with touchscreen capacity. With this wholesale deal, you will also be getting great sound ability from the 45W sound output and subwoofer output, a built in TV tuner with PAL NTSC and SECAM reception, a detachable face plate for security, MIC IN for handsfree talking, and RDS radio. A complete Bluetooth Car System for really making your car or truck special, available now from Chinavasion Wholesale.